Marketing Web Services provides general web site support for content and selected functions for a wide variety of Misericordia University departments. Marketing Web Services includes the web content coordinator, web content graduate assistant, and part-time student workers. Their primary role is to manage the University's effort in innovating and developing online marketing strategies while ensuring that content on the website and in social media is current and relevant to the intended audience. This is accomplished through direct updates of web content and training of staff in other departments to enable them to manage their own web content. Web Services directly manages the main university homepage, using Finalsite, the university's content management system, as well as the front pages of the Center for Adult and Continuing Education web site and Admissions web site. Web Services also manages several elements of the Admissions recruitment software, Hobsons Connect, and is the primary administrator for the university's content management system (Finalsite) and web governance suite (Siteimprove). Web Services maintains and directs the primary and alumni social media sites for the University. The University's Information Technology Department is a collaborating partner with Marketing Web Services and is responsible for maintaining most technical functions of the site, its host server and its operations. Due to the large amount of diverse content on our web site, each MU Department or service that has content on Misericordia's web site must have an employee designated to monitor and maintain that content. The Marketing Department is not responsible for the day-to-day updates for individual departments' web content. Most changes to the site can be done by departmental designees using MU's content management system. Marketing's Web Services will provide training on how to use the content management system and assist with advanced technical issues or direct the department to Information Technology for assistance. Failure to identify a web updater after multiple outreach has been made to leaders of a specific area may result in the removal of links from the website. Cases of extreme negligence may result in complete content removal from the website. Trainings on the content management system must be scheduled at least two weeks in advance. All content changes completed by individual departments are submitted to Marketing and IT for review prior to going live on the site. Changes are reviewed to be sure they conform to brand standards for graphics, formatting and messaging. Outside of regular, reoccurring updates, it is imperative that any department seeking to make major structural changes to the navigation of a designated area, must first contact Web Services to schedule a meeting. Major changes to navigational subpages can potentially impact web traffic and/or user experience, so reviewing a careful and well thought out plan with Web Services prior to implementation is required. Copy editing is a not service that Web Services or IT provides. It is the responsibility of the web updater to ensure that a submitted web update utilizes proper grammar and sentence structure in a way that is consistent throughout the site and accurately describes the event or new information in question. As there is significant daily activity online, Marketing cannot guarantee same-day service for web updates but will address rush requests when possible on a case-by-case basis. Most web updates are approved within 24 to 48 hours, excluding weekends and holidays. Projects that require technical assistance by Marketing or IT staff may take longer to process. Questions concerning the content management system should be directed to Steve Filipiak at 570-674-6713 or via e-mail at sfilipiak@misericordia.edu. 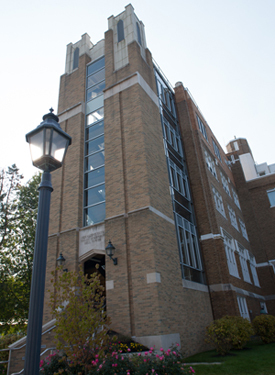 The Marketing Department oversees the University's web calendar (www.misericordia.edu/calendar) and maintains its functionality. The calendar is divided into numerous sub-calendars sorted both by subject matter and University organizations and departments. Marketing posts little content to the calendar directly. Calendar content is provided by numerous calendar liaisons on campus. Liaisons post content regarding campus events, important deadlines, and schedules. Liaisons should be interacting with others on campus to collect and post events. Content is approved by vice presidents, deans and other officials prior to appearing live in the calendar. Marketing provides calendar administration training to appropriate calendar liaisons and approvers. Trainings on the campus calendar must be scheduled at least two weeks in advance. Calendar content is not restricted to events for the general public. Postings regarding both internal and external events and deadlines that affect even modest sized groups should be considered for calendar posting. When in doubt, consider the University web calendar as a comprehensive tool for campus events and meetings, both large and small. Should you wish to post an event, please contact the calendar liaison most relevant to your post as defined by content area, your college, or division. For a current list of calendar liaisons, please contact Steve Filipiak in Marketing at 570-674-6713 or via e-mail at sfilipiak@misericordia.edu. The Marketing Department manages and directs the content for the University's main social media sites including Facebook, Twitter, YouTube, Google+, Pinterest, Flickr and others. Requests for posts to those sites should be directed to Steve Filipiak at 570-674-6713 or via e-mail at sfilipiak@misericordia.edu. Marketing cannot guarantee same-day service for requested posts. Please allow at least one week advance lead time for requested posts so that conflicts with other posts and messages can be avoided. If your department has its own social media sites, they are governed by the University policy described here. As web resources are limited, it is important that projects involving Web Services be well planned. Marketing Web Services may need to prioritize projects to focus on efforts that are of strategic importance. When appropriate, staff can direct your project to other resources for assistance which may include IT, Cougar Prints or other campus entities. In some instances, Marketing Web Services may provide trainings and related support on various web tools to individuals in order to help further the continuance of decentralized content management. That said, the ability to expand resources to accommodate rush projects is limited. Marketing Web Services cannot always guarantee availability of web resources on short notice, although we strive to do so when required. What is the goal of the project (including context and background information)? What is the deadline or timeframe for implementation? If required elements need to be provided for the project, when will they be made available? Don't hesitate in requesting a meeting with Marketing's Web Services staff should you have questions concerning these project elements. Timelines for certain web tasks can vary depending on the web services project and the balance of other requested projects. All web guidelines listed below are approximate. Timelines for larger projects that involve reworking of navigation, migration of information into the content management system, or the creation of other special web initiatives vary on a case-by-case basis and may require several months of discussion and planning. Please contact Steve Filipiak at 674-6713 or by e-mail at sfilipiak@misericordia.edu to discuss any project in advance.